Thank you for visiting the Carole Lewis Coaching Limited website. These terms and conditions apply to your use of this website. However, I reserve the right to vary or amend these terms and conditions, and the website itself, from time to time without notice to you. Please note that if you use this website or you receive any information from me or this website, that is not intended to create, nor does it create, a coach-client relationship between Carole Lewis Coaching Limited and you. The materials and information on this website are provided for general information and promotional purposes only. They do not purport to be comprehensive or current, and do not constitute legal or other professional advice. Every situation is unique, so please seek professional advice before you take action on or rely on any of the information I’ve provided on this website. Carole Lewis Coaching Limited does not accept responsibility for any loss or damage you might incur by accessing or relying on the information on this website. On this website, I sometimes provide links to other websites or resources that I think are helpful and relevant. 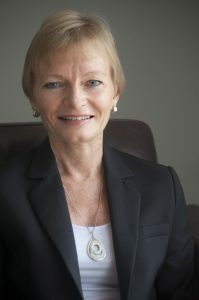 Carole Lewis Coaching Limited makes no representation or warranty as to the accuracy, availability or any other aspect of the contents on those linked websites. Also, when I provide a link to another website, that does not necessarily mean that Carole Lewis Coaching Limited is endorsing or recommending that website or its contents. Carole Lewis Coaching Limited accepts no liability for any loss or damage that you might suffer by accessing or using those linked websites. If you decide to access linked third-party websites, you do so at your own risk.